Have you bought a dress just a few months ago and are finding it difficult to fit into it? If yes, be assured that you are not the only one. However, if you notice this problem it is perfect time to implement some strict changes to your lifestyle, and one of the changes is doing regular exercises. If stomach fat is not addressed on the right time, then you may have to face some adverse effects. Well, it is true that belly fat also does not look good on you, but the major problem is drastic health issues it can cause. But how do you decide which one is best for you? No worries; here are the top 10 exercises to reduce tummy fat fast to help you get back your toned tummy in no time. Wait a minute! There is no need to worry about going to a sea because rowing machines are also available in the gym. This is one cardio workout that will blast out your fats for sure. Not only will it help to increase your heart rate up, but it will also help you burn fats, work out on shoulders, legs, arms, core, and back. It is a package exercise that will help you reduce your tummy. Do it on a regular basis to experience good results in a long term. This is definitely one of the top 10 exercises to reduce tummy fat fast. The old thinking was that long and steady sessions of cardio are what will result in burning your fats, but the old thinking is now changed. 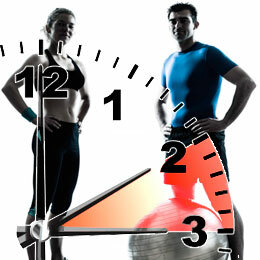 Now, we have noticed that intense workout on a fast-paced cardio is quite effective. You need variations and intense workouts for maximum results in your body sculpting goals. It is best to take help of trainers to get a proper view about it. Nothing is as effective as burning tummy fats as fast as crunches. According to some experts, crunches occupy top rank when you start your goal towards reducing your tummy fats. So, make sure that you include this healthy regime in your daily workout for reducing your belly. If you are a beginner then start slow with your regime, and go for make sure that you accomplish 2-3 sets of crunches each day. Cardio sessions are crucial when it comes to intensifying you tummy fat loss regime. Plank is one of the effective exercises that bring forth results. Make sure that you keep improving on your time each day and experience the best and efficient results in a long run. This not just helps you reduce tummy fat but also strengthens your core. Bicycle exercise is yet another workout that you need to add. It is as easy as lying on the ground on your back and trying to cycle in the air. It is easy and effective to reduce your tummy fat. Just a paddling your bicycle, you need to start slow and then build up your stamina for the same. Walking is also one of the effective exercises when it comes to reducing your tummy fats. It is considered to be an effective method to burn your fat. However, you need to make sure that it is not the regular walking that you are doing for work or other chores at home, but you remove dedicated amount of time to get it done. If you have healthy diet plan and implement walking in your 10 best exercises to reduce tummy fast, then you will experience great benefits. Run for your life! Well, this is so true today because of the kind of lifestyle we are living. Most of us are involved in office work on a desktop and so we don’t need to physically exert ourselves. When we come back home it is out couch that we’re on most times. So running can be another alternative exercise to boost your heart beat, reduce belly, and lose some calories. If running is something that you dislike, why not try jogging? Well, jogging is a good cardio that most people do and experience benefits for their tummy fat loss. It is a better option to break down your unwanted belly fat when compared to other options. This will help you stay fit and fight your fats at the same time. Once you are used to doing crunches now it is time to do reverse crunches. These exercises are especially good for women. However, you need to make sure that this area regular part of your regime. Another thing that you need to exercise is self control. Well, as you start your work out you need to have a proper planned diet that is healthy and beneficial for your body. So in order to follow it on a regular basis you need to exercise self control so that you do not indulge in eating unhealthy food that will only add more fats to you. So, make sure that you do these 10 best exercises to reduce tummy fast, and experience a great body shape and healthier you.